The most telling aspect of David Ortiz's absence from the Red Sox lineup is that by any meaningful measure, the team's offense did not lose any of its potency. To a man, of course, the Sox are thrilled at the timing of the return of Ortiz, coming back after nearly two months away just in time to face the New York Yankees at a time of year that might not be quite "do or die," as Jonathan Papelbon called it, but nonetheless presages another stretch drive certain to involve both teams. But the Sox, who actually picked up a game on Tampa Bay while Ortiz was recovering from a partially torn tendon sheath in his left wrist - they trailed by a game May 31 and now are in a virtual tie in the American League East, .001 behind - could not have done a better job of masking his missing bat. Batting average: .280 before; .279 after. Runs per game: 5 before; a hair over 5 after. Home runs per game: 1.05 before; 1.15 after. On-base percentage: .353 before; .360 after. Slugging percentage: .441 before; .450 after. 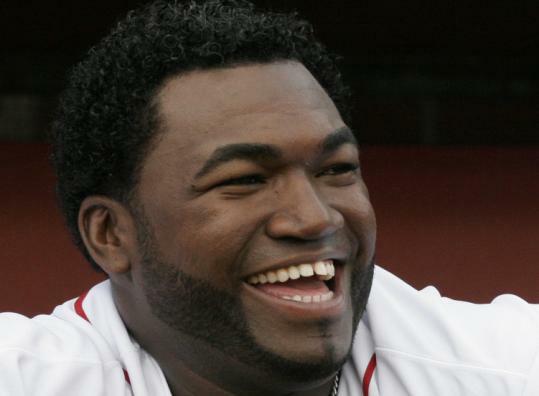 And the number that matters the most: The Sox were 34-24 with Ortiz, 26-19 without Big Papi. "David coming back is great, and I hope Manny [Ramírez] is fine," third baseman Mike Lowell said before the team departed Seattle, Ramírez having missed the finale of the six-game trip after reporting that his right knee was sore, a development that came as a surprise to manager Terry Francona. "Me or Youks [Kevin Youkilis] or J.D. [Drew] is going to have to hit seventh," added Lowell. "It's really good having guys who can put up RBI numbers from that spot. I think it puts so much more pressure on the pitcher. They can't relax after getting Manny out." Ortiz hit home runs in each of the first three games of his rehab assignment in Pawtucket, before tapering off in the final three games in Double A Portland, where he had two hits in seven at-bats. Did the home runs raise the expectations of teammates as much as it did the fans? "It's a good sign that he showed power, instead of coming back feeling like he won't hit for power," Lowell said. "We saw it in batting practice [before the rehab assignment]. He was driving the ball well. That was the first positive sign. "We just need David to be David, which is a great player. I don't think he should feel like he needs to catch up. To me, he starts at zero. From this point on, he just needs to play like he's capable of." With Ortiz back with the big club, the Sox shipped Brandon Moss to Pawtucket yesterday. Moss hit .295 with two home runs and 11 RBIs in 34 games with Boston this season. The player who elevated his game the most while Ortiz was away was Drew, who hit .300, mostly from the third spot in the order, Ortiz's customary slot, while hitting 14 home runs and driving in 35 runs. Drew, who leads the Sox in slugging with a .700 percentage since June 1 while Ortiz has been out, had 29 extra-base hits in that span. He also had a .429 on-base percentage (only Ramírez's .447 was higher) and scored 34 runs. Those totals would have been even higher if Ichiro Suzuki hadn't gone wall-climbing to take a home run away from him Wednesday. Three other Sox regulars - Dustin Pedroia (.374), Youkilis (.324), and Ramírez (.324) - hit .300 or better with Ortiz out, while Lowell just missed at .299. Pedroia had 20 extra-base hits and scored 37 runs. Lowell led the club with 39 RBIs, with Drew (35) and Youkilis (33) just behind. Youkilis, who had eight home runs, had a higher slugging percentage (.574) than Ramírez (.568). The Sox offense survived not only Ortiz's absence, but the lengthy struggles of rookie Jacoby Ellsbury at the top of the lineup and the black hole created by catchers Jason Varitek (.152) and Kevin Cash (.146), though Varitek showed flickering signs in Seattle that his bat may be coming to life. "We haven't been able to get to that 25- or 30-game stretch where we can throw the same lineup out there, and we're more than 100 games into the season," said Lowell, who is presuming that a healthy Ramírez will give them that opportunity tonight, when Francona may also weigh whether it might be better to drop Ellsbury in the order until he starts getting on base more regularly, or leave him in the No. 1 spot because of how his speed can affect the game. The other component that played a big role in the Sox' success with Ortiz gone: the nightly excellence of the starting pitchers. Sox starters are 20-13 since June 1 with a 3.46 ERA. They've averaged 6 2/3 innings, while holding opponents to 0.96 home runs per nine innings. They're averaging 6.7 strikeouts per nine innings, compared to 3 walks per nine. And they have Josh Beckett, Tim Wakefield, and Jon Lester lined up to for the weekend. Beckett already has beaten the Yankees three times this season, Lester pitched a shutout against the Bombers in a performance Varitek ranks even better than his no-hitter, and Wakefield has gone weeks since he had a bad start. The Yankees were nine games out when the Sox left the Bronx July 6, but the Bombers, who won the last two games of that series, have won 11 of their last 14, including six in a row, to slice six games off that deficit. "We're starting to get to that point of the season where it's kind of do or die," Papelbon said, "and I'm sure the fans realize that, too."